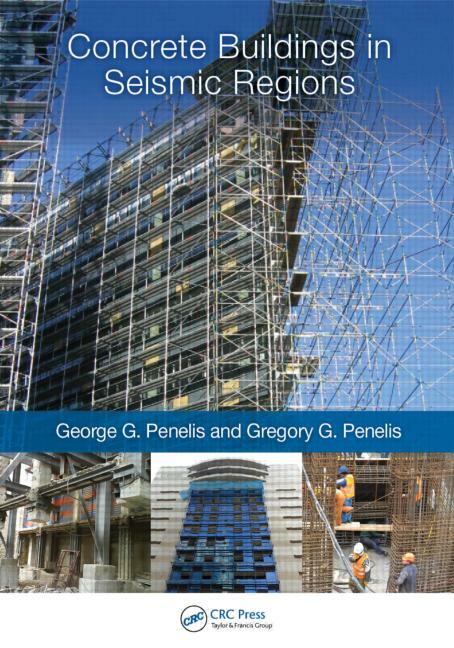 Structural design according to European (EC2 & EC8) and American (ACI318-11 & ASCE/SEI 7-10) technical standards. The new text Book Concrete Buildings in Seismic Regions has been published by Taylor and Francis (CRC) world wide. The book is auhrored bt Em. Professor George Penelis and Dr. Gregory Penelis. Bearing in mind that reinforced concrete is a key component in a majority of built environment structures, Concrete Buildings in Seismic Regions combines the scientific knowledge of earthquake engineering with a focus on the design of reinforced concrete buildings in seismic regions. This book addresses practical design issues, providing an integrated, comprehensible, and clear presentation that is suitable for design practice. The complete set of video tutorials for Scia Engineer and ETABS may be found at our youtube channel or here. Click here to download the ECtools Technical brochure in pdf. ECtools has been developed by 3PI. Ltd. which is a subsidiary of Penelis Consulting Engineers SA , a structural design office with projects in many EU and Non-EU countries with high seismic risk, such as Greece, Romania, Bulgaria, Croatia, Serbia, Cyprus, Egypt. This means that ECtools is a product developed by structural engineers, aiming to satisfy the needs of structural engineers when dealing with large projects. It has been extensively tested within the design office and many Universities and its predecessor, eTools, has been in use since 2002 in Greece and Cyprus. The Eurocodes program has allowed for some diversification within member states, thus introducing the National Annexes for each Eurocode. ECtools has incorporated those NAs for all EU countries. Non EU countries, or EU countries without available NAs, can apply either the general suggestions of the Eurocodes, or a NA of their choice. Additionally the clauses of ACI318-11 and ASCE/SEI 7-10 are applicable, through the IBC, to all US states as well as many international projects world wide. The software menu and manual are in English, however the final calculation report, which is part of the design deliverables, can be produced in any language the user wishes, since it is very common for local authorities not to accept calculation reports in foreign languages.